I made a little postcard style card for somebody very important to me who is going through a hard time. To make the background, I stamped the paint splatters from Papertrey Ink's Birthday Style stamp set in summer sunrise and enchanted evening ink. I then added dimension with some enamel dots from Teresa Collins' He Said She Said collection. My butterflies were made with paper from Echo Park's All About a Boy and a die from My Creative Time's Chunky Jar Accessories. I just love this die! 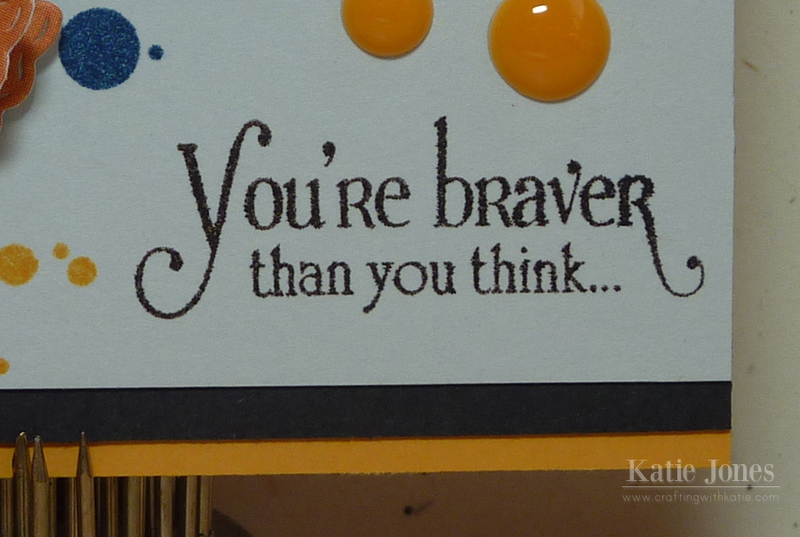 Finally, I found the perfect inspirational stamp in the MCT More of My Favorite Sayings stamp set. Katie ~ Oh my this is STUNNING! I LOVE the colors first off! The splatters are soo COOL! Then the enamel dots ~ I need them! 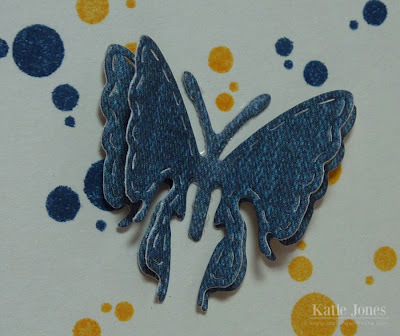 Of course the butterflies are CUTE and I LOVE them in denim! EEK! PERFECT card for someone who needs a little lift! Have a GREAT weekend! beautiful, love the sentiment !!! Very beautiful, this card will be sure to brighten their day. You are so thoughtful. I'm so sorry to hear that your friend is having a difficult time. Your card is lovely and I'm sure your friend will appreciate your thoughtfulness. 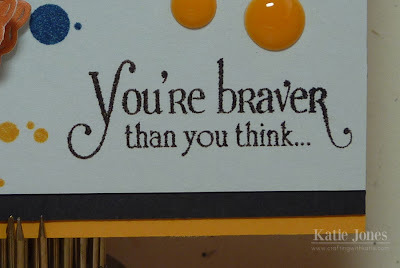 That is just the BEST card I've seen in awhile....just LOVE the colorful splatters with selected enamel dots ...GREAT sentiment and choice of colors! I like the splatters with the enamel dots that look wet. The butterflies are so cool cut twice for dimension. Great job! I hope your card will cheer someone up!